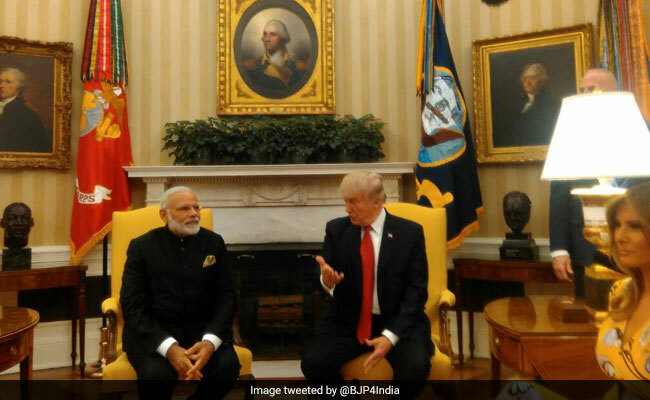 Prime Minister Narendra Modi with President Donald Trump at the White House. 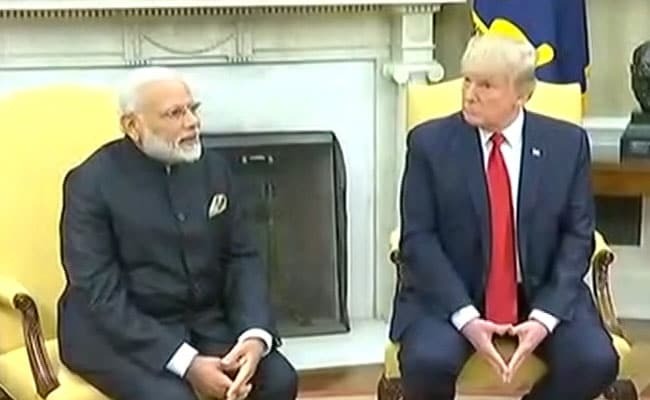 Prime Minister Narendra Modi addressed a joint statement with US President Donald Trump after holding delegation talks. PM Modi had arrived at the White House earlier today, where he was greeted by Trump and First Lady Melania. This was followed by a one-on-one meeting between the two leaders. The PM is on a three-day trip to US as part of his three-nation tour. 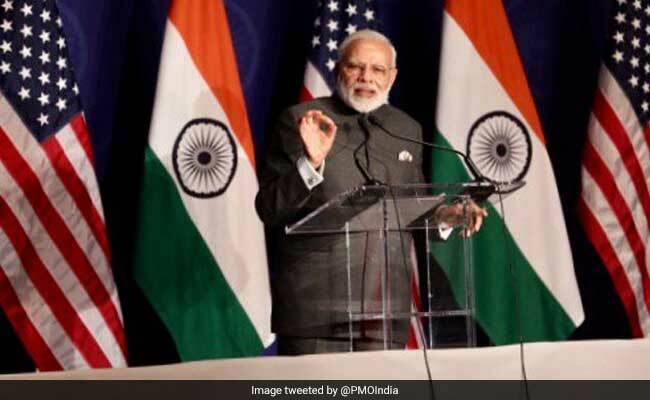 This is PM Modi's fifth visit to the US, where he forged a close relationship with former US President Barack Obama and called the US "an indispensable partner". However, this is his first visit to US after the Trump administration came to power early this year. 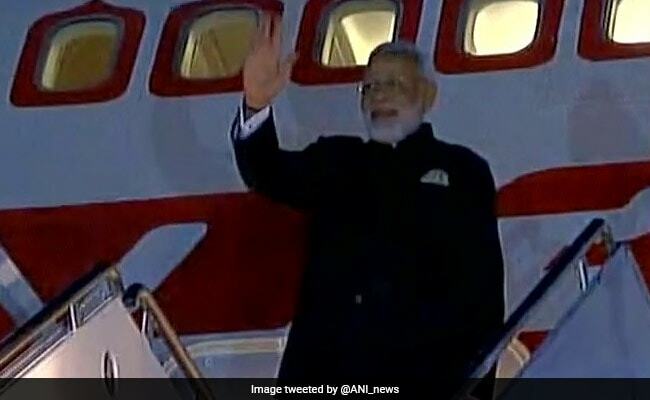 Prime Minister Narendra Modi left for the Netherlands, the final leg of his three-nation tour, after concluding his visit to the US. 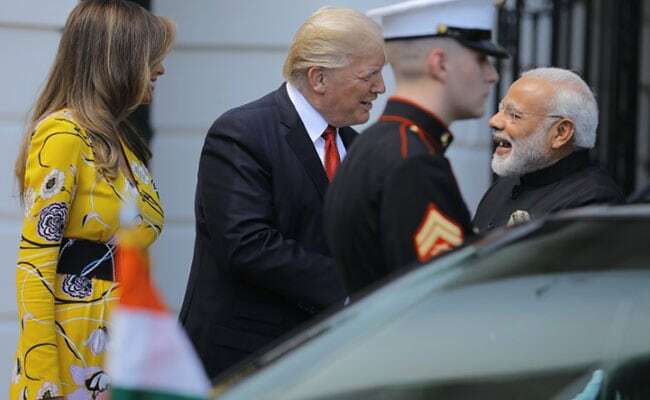 PM Modi leaves White House, Hugs Donald Trump And Shakes Hands With Melania Trump. And after many years, we've got three-fourth majority in the state assembly. I want to thank you and all of your representatives. It is such an honor to have you at the White House and in Washington. And we have had tremendous meetings today, tremendous success, and we enjoy a wonderful relationship, but it's never been better than it is today. And again, any time you'd like, we want to have you back as soon as possible. Thank you very much for being here. Prime Minister was going to come here at a different time, but we worked out this time because they had elections in a section of India. And it's just a small section, but we said, it's the seventh largest country in the world, that small section of India. 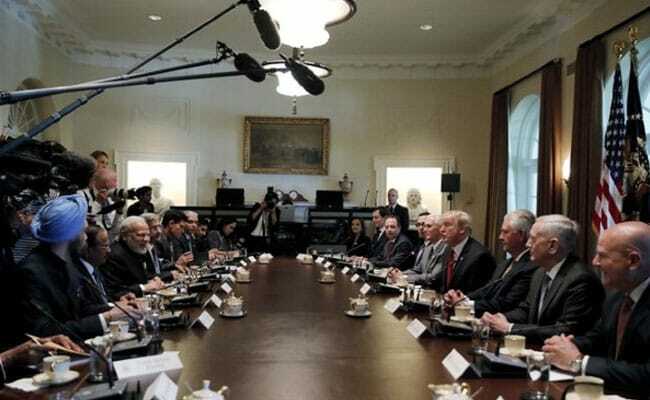 PM Modi is the first world leader to have a working dinner with President Trump. Among the guests dining with them were The First Lady, Jared Kushner, James Mattis, Rex Tillerson S Jaishankar, Ajit Doval and Navtej Sarna. For @FLOTUS, PM presented a hamper containing a traditional, handcrafted Himachali silver bracelet, tea and honey from Kangra valley. Hand-woven shawls from Jammu and Kashmir, and Himachal Pradesh were also presented to @FLOTUS. The stamp had been issued in 1965 to mark the death centenary of President Abraham Lincoln. It honoured the memory of a great American President and symbolized closeness of the ideals for which Lincoln stood and which drove Bapu. 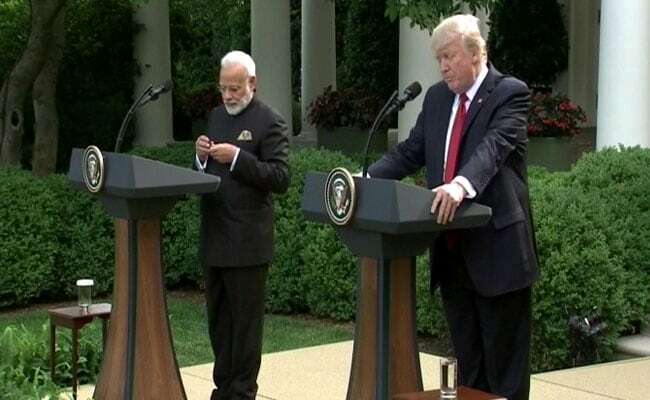 Donald Trump and Prime Minister Modi to deliver their joint statement shortly at Rose Garden, White House. 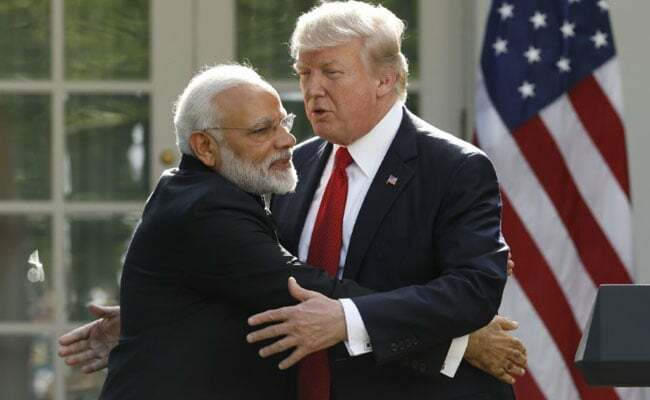 Earlier, President Trump praised PM Modi and said "He has done a great job, economically"
As leaders of the two most powerful democracies stand together, ties to deepen on many grounds in talks ahead. Happening Now: India-US delegation level talks at the Cabinet Room. This comes 20 minutes after PM Modi and Donald Trump held one-on-one meet at the Oval Room. Glad to see Prime Minister #Modi visiting Washington to maintain strong ties between the US & #India. I've been speaking with you and reading about you and you've done a great job economically India's doing so well. This is the welcome for people in India. Will say more after the meeting. When he came to India in 2014, when he wasn't even the presidential race, when he was asked about me, he said such nice things about me, they'll be memorable to me. I am grateful to him. 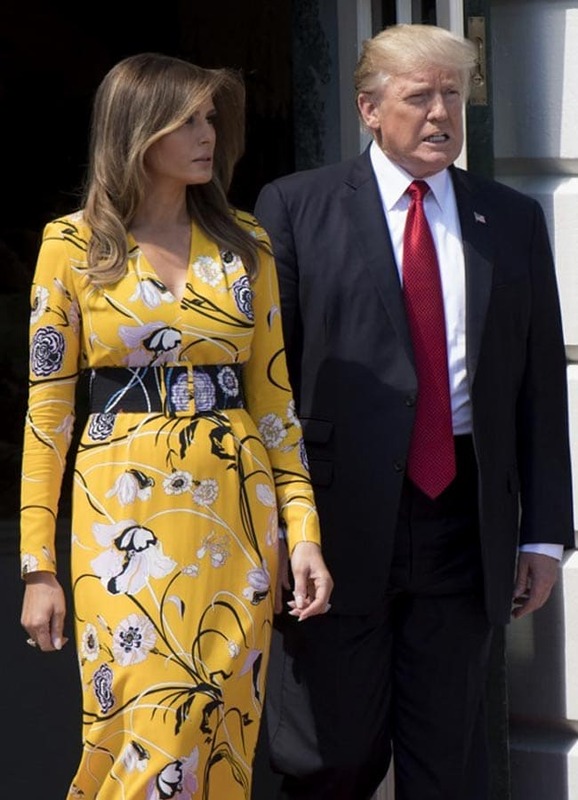 Melania is dressed in a yellow printed gown with a waist belt and Trump is wearing a navy blue suit with red tie. 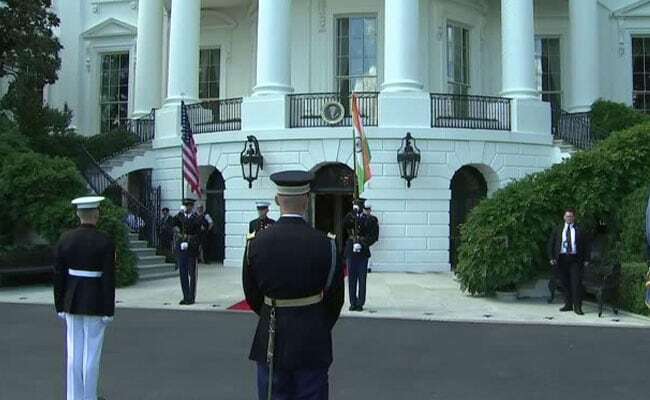 JUST IN: PM Modi arrives at the White House. Donald Trump greets him with a handshake. Donald Trump and Melania Trump coming out of the White House as they wait for PM Modi. Security in place as PM Modi's arrival is awaited. 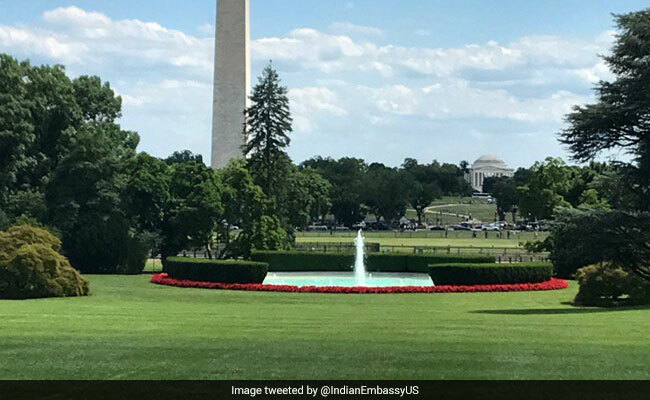 PM Modi to arrive at the White House any moment now where he will spend five hours. 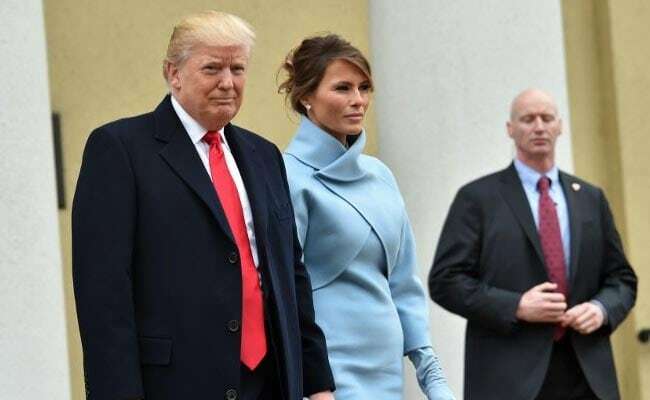 Donald Trump along with First Lady Melania Trump will welcome the Prime Minister. 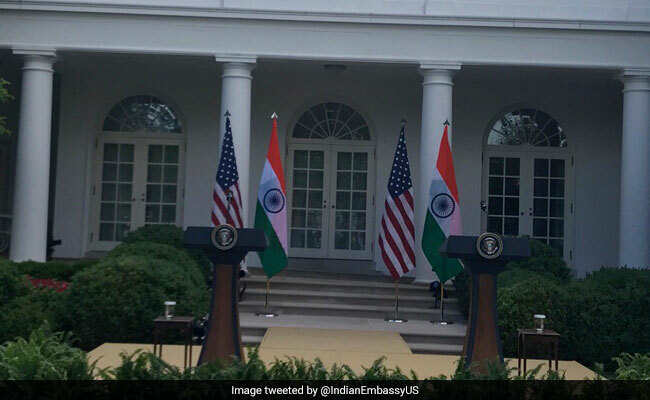 The White House is all set to receive PM Modi. The lush green lawn outside President Donald Trump's official residence. The US State Department's step vindicates India's long standing position on cross-border terrorism emanating from Pakistan. US' Secretaries of Defense and State called on PM Modi this morning. Both meetings conveyed warmth of the relationship. Such interactions are in nature of courtesy meetings. Not many specific matters are touched upon. 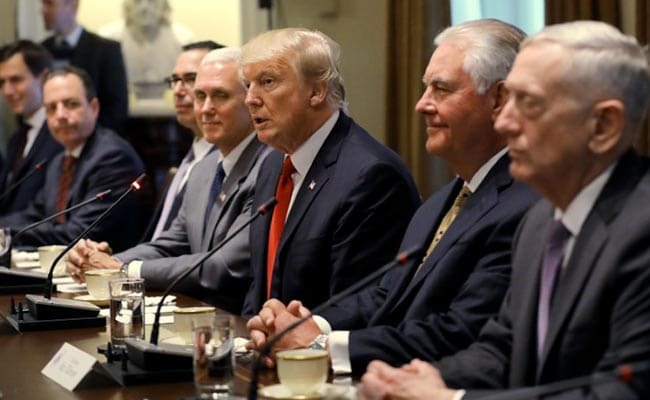 In Mr Tillerson's meeting, he conveyed President Trump was eagerly looking forward to hosting PM Modi. Desire of both sides to strengthen India-US relationship in strategic and economic areas was mentioned by Mr Tillerson. PM Modi conveyed India's desire to walk side by side. There was general discussion on situation in Asia Pacific and elsewhere. PM Modi conveyed the fulcrum of India's foreign policy which is to have good relations with neighbours. India wishes the progress of its neighbours. There was discussion on counter-terrorism. Secretary Mattis began by referring to PM Modi's op-ed in Wall Street Journal today. The situation in Afghanistan was discussed. Mr Mattis conveyed appreciation for India's role. Both sides decided they will remain in touch, there is no need to cooperate. Our strategic partnership is multifaceted and multidimensional. The notification has just come. We will see what specific provisions are. 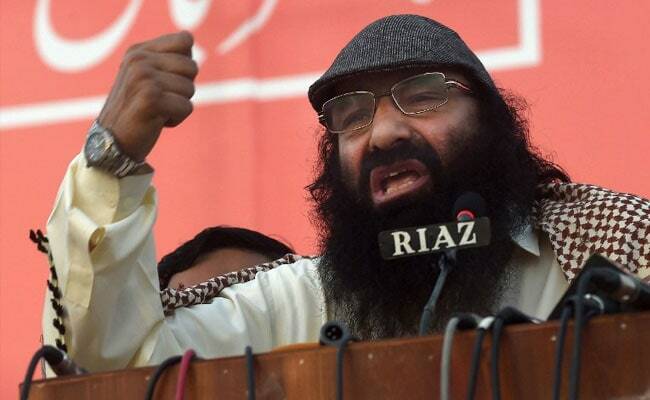 It vindicates India's longest standing position that cross border terrorism is behind the disturbances in Kashmir. It underlines, also, the fact that both India and US face threat of terrorism and are working together to counter this threat. 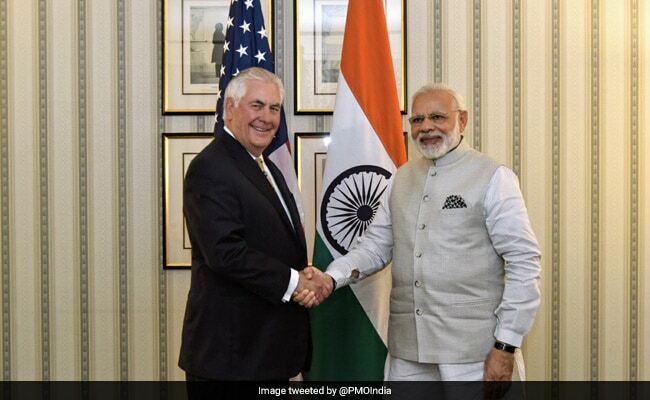 US Secretary of State Rex Tillerson held discussions with PM Narendra Modi. 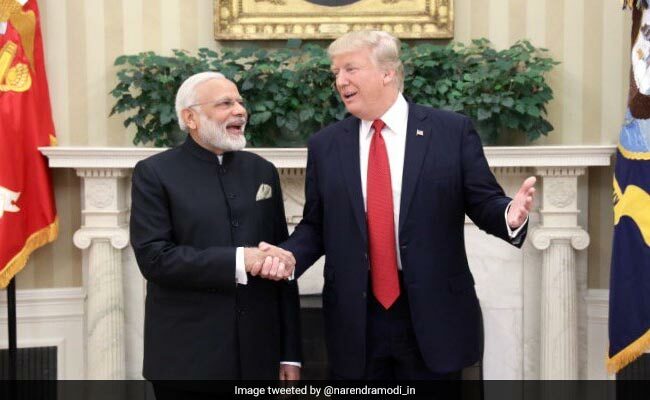 US Defence Secretary James Mattis called on Prime Minister Narendra Modi in Washington today amid reports that America will sell 22 Guardian drones to India to bolster its surveillance and intelligence gathering capabilities. 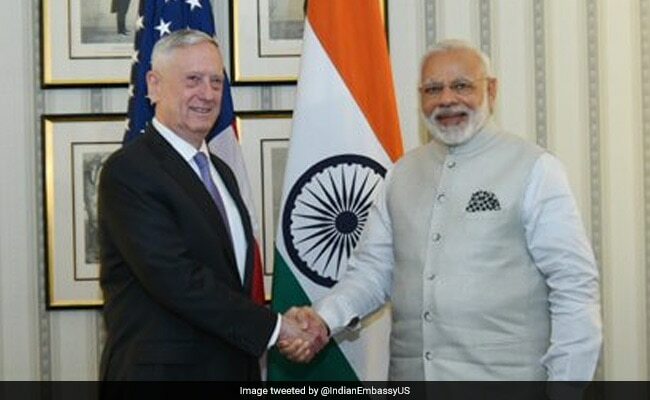 The meeting between Mr Mattis and Prime Minister Modi came ahead of the latter's maiden meeting with US President Donald Trump at the White House. Mr Mattis met Mr Modi at the Hotel Willard Intercontinental, where the Prime Minister is staying. 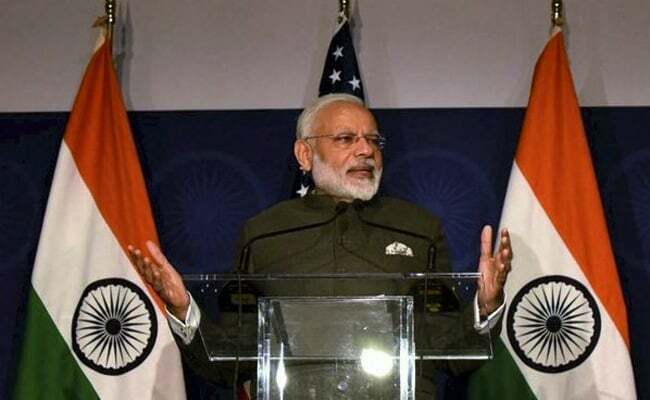 The landmark Goods and Services Tax (GST) that will come into effect in India from July 1 could be a subject of study in US business schools, Prime Minister Narendra Modi said on Sunday. - We are trying to fulfil all our responsibilities. - I thank you for your support. If any ministry has fully utilised social media tool, it is our Foreign Ministry and minister Sushma Swaraj. Even at 2 am, Sushma ji responds to an Indian in distress and action is taken within 24 hours. This is good governance. 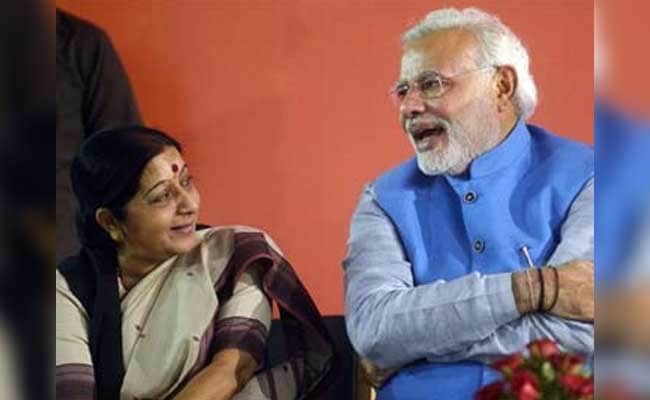 -In the last 3 years, the External Affairs Ministry has touched new heights. Whenever 80,000 Indians anywhere around the world faced any trouble, the government strived to get them home safe. 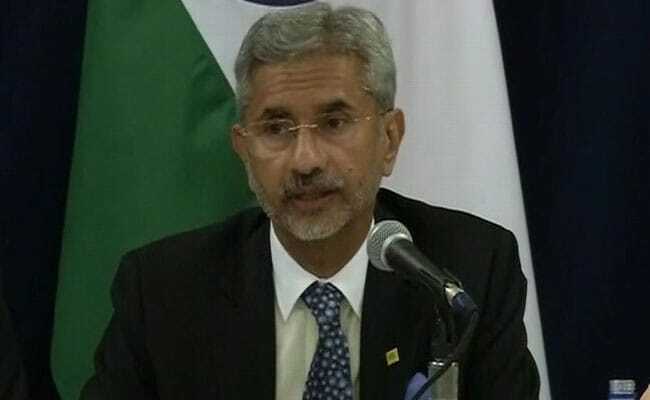 -Today, whenever an Indian faces any problem, the Indian Embassy is there for them. -An Indian went to Malaysia. She met someone and went to Pakistan. But her life was hellish there. She was trapped. -Then, she made up her mind and went to the Indian High Commission in Pakistan. -Eventually, she was safely brought back to India and received by Sushma ji. Today, whatever letters I get from abroad, they praise the changes in Embassies and High Commissions. The US is full of immigrants. 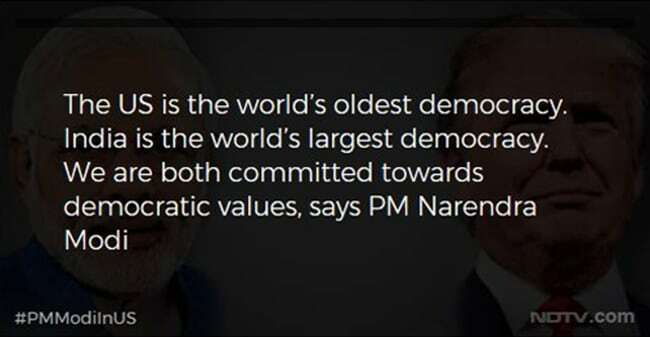 But the love an Indian like me has got from the Indian diaspora here, I don't think any other leader gets that. But what after that? I wonder if the next generation will stay connected to India. Every Indian state has a Pravasi Bharatiya department. We also have a Pravasi Bharatiya Bhavan. - A young country dreams young. - Foreign Direct Investment is coming to India. Global credit agencies including World Bank and International Monetary Fund are applauding India. - The world views India as a top investment destination. - But along with these, innovation, technology and talent is crucial. - Today, the world is facing the threat of terrorism. - Countries used to believe it was a local law and order problem. - But when India conducts surgical strikes, then the world realises that India, if needed, can defend itself. - We follow global principles because that's our nature. We believe in Vasudhaiva Kutumbhakam. 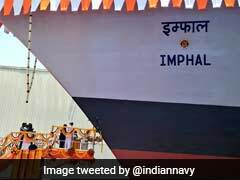 - They demonstrated that India, which normally follows restraint, can also defend its sovereignty and ensure its security. - The world could've accused us during surgical strikes. They could've criticised us. - But not a single country questioned our decision. Just two days ago, we launched 31 nano satellites. 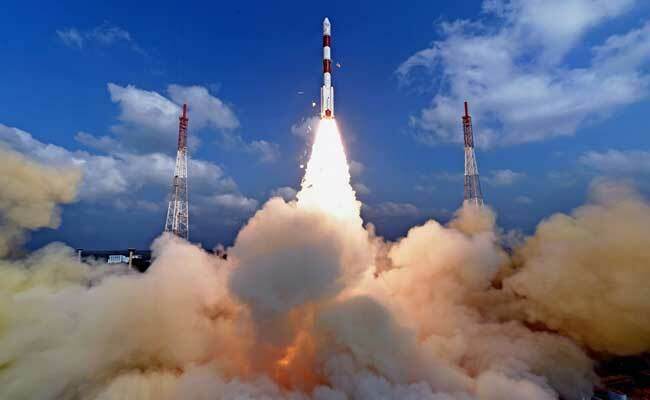 Last month, we created a world record.. launched 104 satellites which took the world by storm. .
-In the next three years, we want to provide gas connections to 5 crore poor families. It hasn't been 10 months of the scheme and we have already provided connections to one crore households. -We also transfer the subsidy directly into their bank accounts. -When we opened bank accounts of the poor, they said, "You've opened accounts but there is no money". But we transferred the subsidy directly to accounts. -Through Direct Benefit Transfer, we identified ghost accounts and saved a lot of money. - I urged the rich to give up their gas subsidies. 1.25 crore families gave up their subsidies for the benefit of the poor. This proves that the common man wants to contribute to the growth of the country. - After they gave up their subsidy, we provided the money to those who use wooden chullahs and the labourers. -The reasons governments have been defeated in India are things like corruption and cheating. People of India do not like corruption. -There is not a single stain on my government. You found a favourable environment in the USA which enabled you to grow. 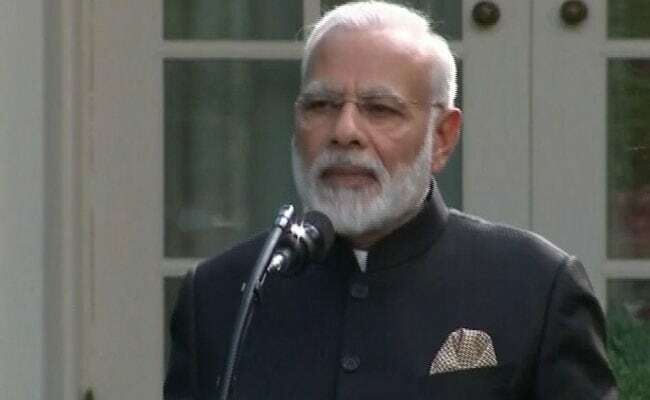 And as you grew, so did the USA: PM Narendra Modi. You may have left India... But, you celebrate whenever something good happens in India. And you weep when something bad happens, says the Prime Minister. "In this programme, I see both a mini-India and a mini-USA. 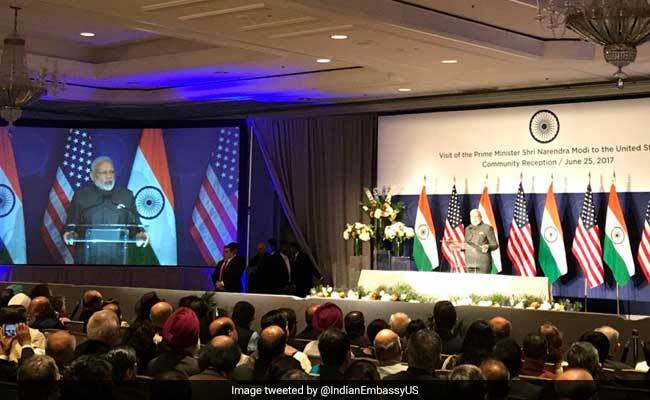 People from all the states of both the nations are represented here today": PM Modi says amid cheers from the Indian community members attending his address in Washington DC. After I became PM, you organised so many events which the world still remembers. Even global leaders identify me by those events, says PM Modi. Meeting you all is like meeting member of my family. Indian Ambassador in the US, Navtej Sarna introduces PM Modi before his address. PM Narendra Modi arrives to begin addressing the Indian community. 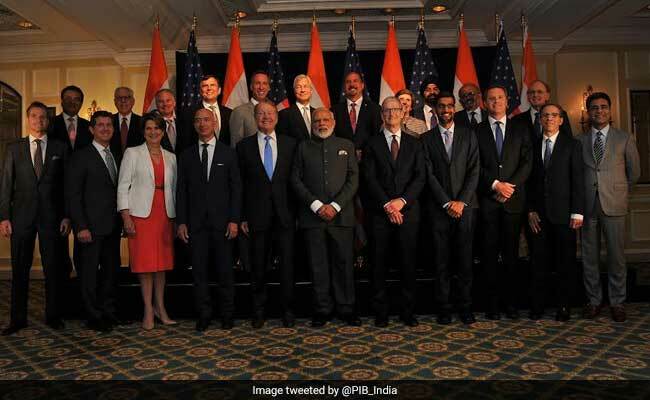 Participants include Amazon's Jeff Bezos, Google's Sundar Pichai, MasterCard's Ajay Pal Singh Banga and Apple's Tim Cook. Indian ambassador Navtej Sarna and his wife received PM Modi at the time of his arrival. 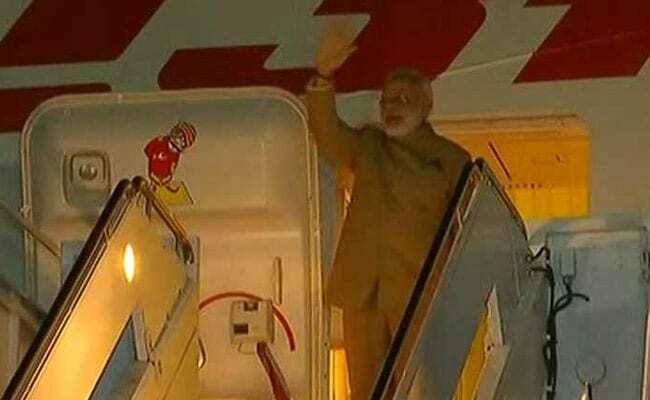 Watch PM Modi's arrival in Washington. 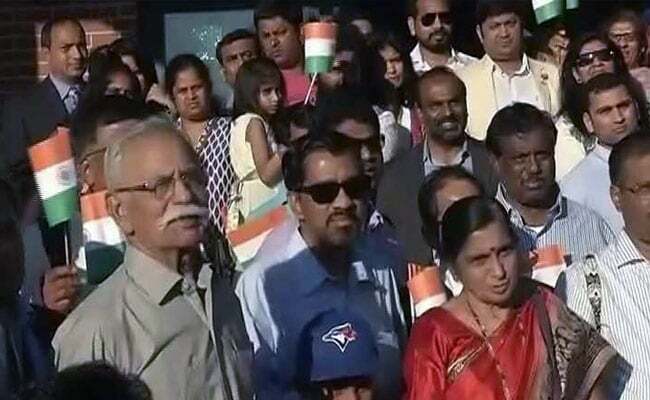 PM Modi meets the Indian community in US at Andrews base in Washington. PM Modi arrives in Washington. Watch as a gathering outside Joint Base Andrews cheer for the Prime Minister. 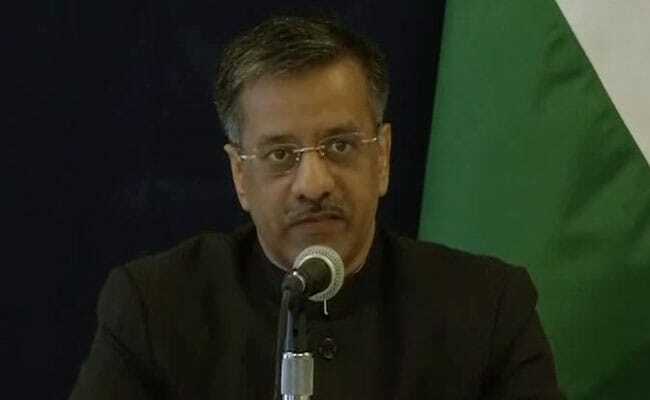 Vijay Chauthaiwale who is in-Charge of Foreign Affairs Department, BJP gives us the mood at Andrew Air force base in Washington ahead of PM Modi's arrival. US Senator Kamala Harris welcomed the Prime Minister, hours before he arrived. I welcome Indian PM @NarendraModi to the United States and reaffirm the unbreakable bonds between our two nations. President Donald Trump tweets welcoming Prime Minister Narendra Modi to the White House ahead of his arrival in US.